If you’re a “gearhead,” you know just how rough it can be to work on your car in your garage during the winter time. Not only is the garage cold, but it’s usually covered in slush and water. Luckily, there’s a maintenance-free solution that most car guys and gals have only dreamed about: a heated garage floor and heated driveway. This will reduce the amount of snow and slush that makes its way into your garage. And, for the slush that does get in, the garage floor-heating system will melt it and even evaporate the water, so you’re left with a clear, dry floor. Plus, the floor will be heated, which makes working on a car substantially more enjoyable during the winter months. A floor-heating system for your garage and driveway might sound too good to be true. If you’re looking for a catch, you might be wondering how much a system like this would cost. Again, you’d be pleasantly surprised! If your garage is already finished, however, you can retrofit it with our TempZone™ floor-heating system. This system would be installed over your existing concrete slab (without any underlayment in between) and covered with ½ inch of cement. 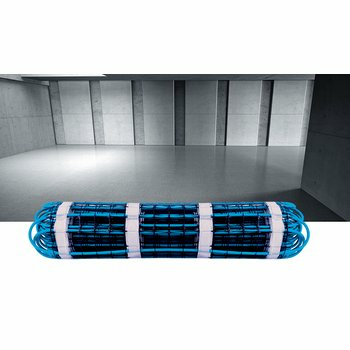 This option only minimally raises the garage floor and radiates about 15 watts per square foot upward to melt snow and keep the floor toasty warm. A system like this would cost about $4,500 for an average two-car garage with an operating cost of about $3.61 per day. For a car aficionado, a heated garage floor is probably the best gift you could ask for. But, if you want to go the extra mile, you can even get your driveway heated to keep as much of the snow outdoors as possible — and make it easier to get your beloved car in and out unscathed. 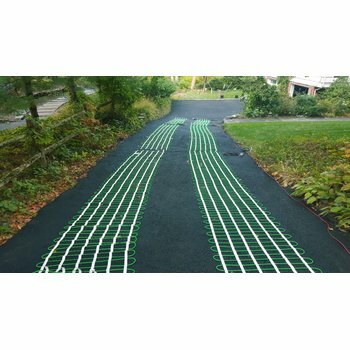 Heating your driveway consists of embedding a radiant heating system in asphalt, concrete or in mortar under pavers, which typically requires a new driveway. If it’s time to replace your aging driveway, now is the best time to consider adding a snow-melting system. To save money, you can opt to only heat the tire tracks area of your driveway. For a typical two-car driveway, it would cost just more than $800 to heat the tire tracks. By comparison, it would cost at least $4,300 to heat the entire driveway. In a nut shell, floor heating and snow-melting systems feature a heating element that must be embedded in a material (like concrete). Once the concrete (or asphalt or mortar for snow-melting applications) has cured, the system can be powered on, emitting radiant heat upward through the material. In the case of heating a garage floor, this means the floor-heating system will warm up the entire garage as well as melt any ice or snow that’s tracked in. 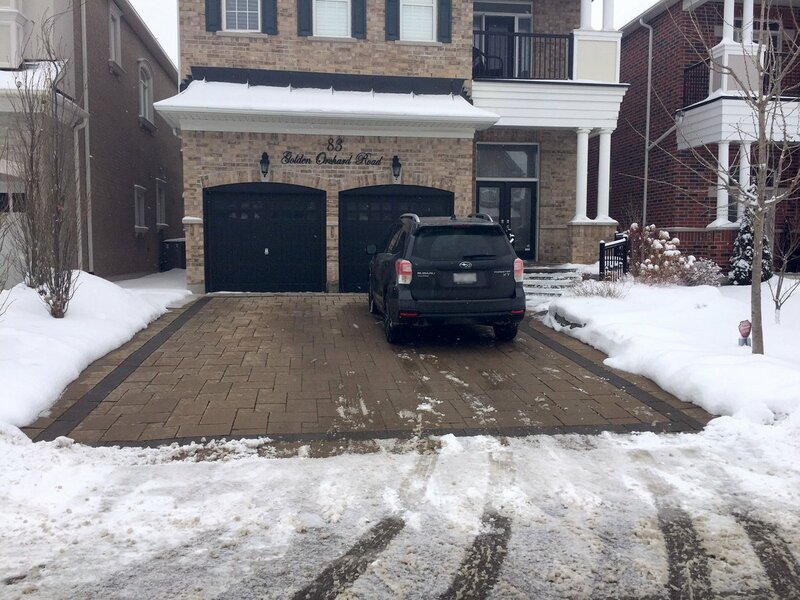 For a driveway, homeowners can set the system to turn on when snow is expected so that it doesn’t have the chance to accumulate. The goal of a snow-melting system is to melt snow and ice, keeping a driveway safe and eliminating the need to shovel or snow plow. To really get an idea of how a snow-melting system works, WarmlyYours created the following video. It shows exactly how a snow-melting system is installed — from start to finish. For more information about heating a garage or driveway, visit www.warmlyyours.com. Here, you can get a free, instant quote for your particular project and learn more about the range of radiant heating systems that WarmlyYours has to offer. Whether you have a love for muscle cars or classic cars, with a heated garage and driveway in tow, your cherished car will never be happier. *An average two-car garage is 24 by 24 feet. **Based on a national average operating cost of $0.12 per hour and a system running for 8 hours a day.